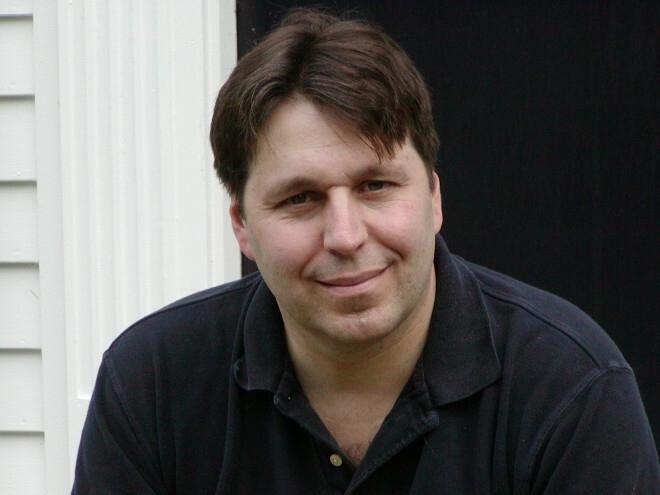 To most people reading this blog, R.A. Salvatore needs no introduction—but I won’t let that stop me. Bob and I run into each other at conventions now and then, where he’s always friendly and personable, the epitome of the “regular guy.” It never occurred to me that he’d be anything else, at least not until I was touring U.S. military bases in Germany to promote Dragon magazine and the then-upcoming 3rd edition D&D. While mentioning upcoming Forgotten Realms novels, I referred to R.A. Salvatore by his first name. That elicited a gasp from one of the attendees. “You call him ‘Bob’?” said a young soldier. Maybe I should have led with “Mr. 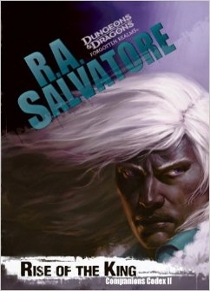 Salvatore,” since the Drizzt novels had already made him a big deal by the time I joined TSR. Still, I knew Bob was a gamer, and the minute you hear his voice on the phone, you know you’re dealing with an unpretentious guy. It wasn’t scary to ask him for a story for Dragon, even after I had to go through his agent on the standard contract (an unusual occurrence at Dragon), but even the agent didn’t make things difficult. It was all easy, regular-guy stuff. 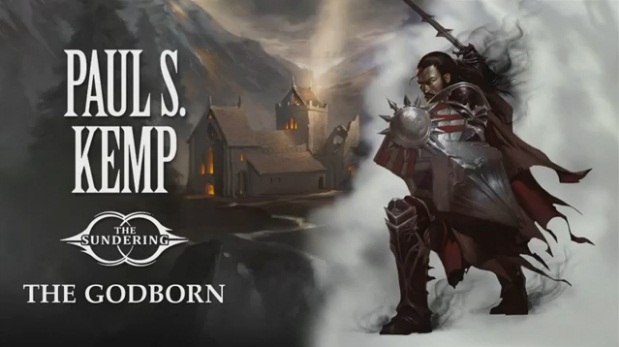 Bob’s Forgotten Realms novels are a big deal, his fans legion and adoring. So maybe I did hesitate before asking him to do a Creative Colleagues interview. I shouldn’t have worried. Not only did he reply right away, but he answered all the questions, not just the five I’d asked him to pick. Thus, to preview the eventual full interview and draw some eyes to this page before several other worthy authors make their appearance, I’ll drop a sample question in now and then. Here are two. This summer’s Rise of the King is the second volume in the Companion’s Codex. As an avid gamer and prolific author, in what ways do you find tabletop roleplaying inspirational to your fiction? In what ways do you find it a completely different creative pursuit? I try to keep my gaming and my writing separate, but little bits of the game scenarios inevitably bleed in. Usually it’s just anecdotes that happen in the gaming sessions—funny stories, clever remarks, that sort of thing. 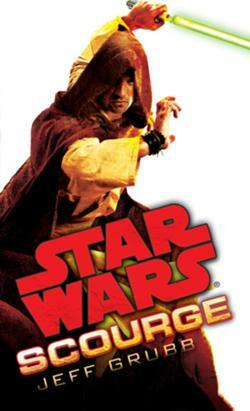 Many gamers imagine themselves writing novels based on their characters one day. What advice or warnings would you offer them? Typically, characters played in games are a collection of idiosyncrasies more than an actual human being. And that’s the most important ingredient in writing a story: the readers have to connect with the character on a human level (even if that character is a dark elf or dwarf or whatever). Drizzt wasn’t ever a character I played in a game, but he could have been—again, that’s just a starting point, however. 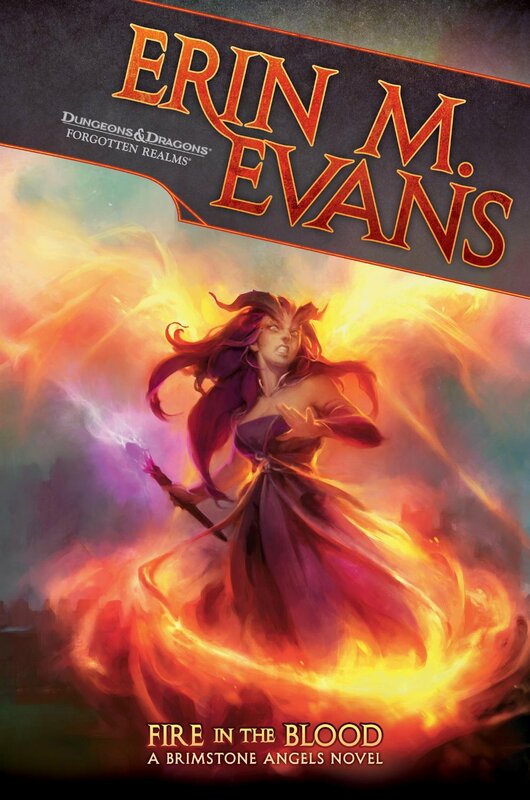 Come back next week for a chat with Realms author Erin Evans, whose latest novel, Fire in the Blood, is coming soon. Paul S. Kemp and I first “met” by both writing novellas for The Halls of Stormweather, the anthology that launched the Forgotten Realms Sembia series. 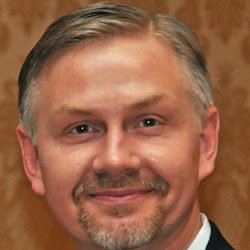 How I’d gotten on board is a longish story, but editor Phil Athans discovered Paul, whose character Erevis Cale would go on to become the undisputed phenomenon of the series in Shadow’s Witness. Paul was the first of my fellow Sembians to grant me permission to use his character in the final volume, Lord of Stormweather, for which I remain grateful. Later, Paul wrote a story or two for me during my magazine years, and we’d occasionally bump into each other at conventions or, more often, online. We share a love of good whisky but part ways on cigars. 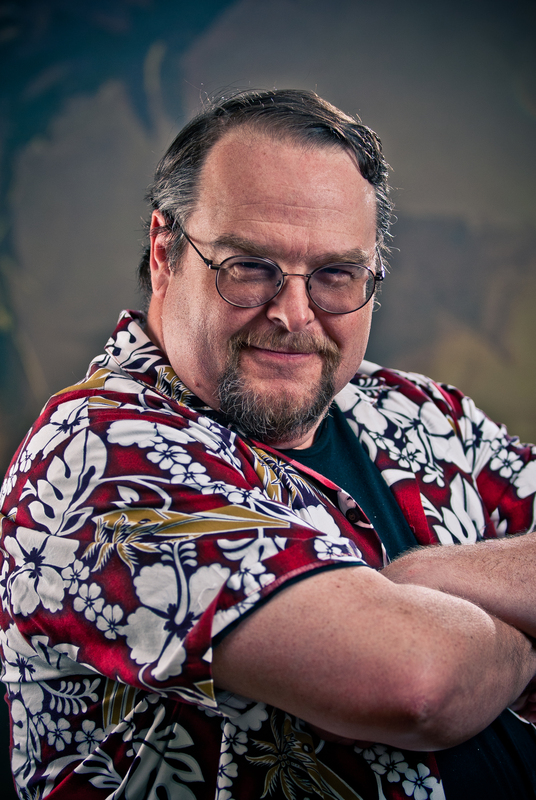 While conducting legal battle during the day, he somehow remains a prolific author of both his original fantasy novels and some of the most popular Realms novels. Just yesterday Wizards of the Coast released his latest, The Godborn. 1. You and I got cooking on our writing careers within a few years of each other. I look back with mixed feelings, sometimes wincing at what I wrote 20 years ago, sometimes thinking, “Hey, that wasn’t half bad.” What are some ways in which you’ve improved from your earlier self? What are some lessons you didn’t realize you’d learned until you looked back much later? Oh, you mean with the writing? It’s funny you mention the bit about looking back. With very rare exceptions (usually just to check this or that reference for the sake of consistency across a series), I never read anything of mine after it’s been published. Mostly that’s because I know I’ll just wince, tear it to bits, go on a drinking binge, sink deeply into one of the aforesaid bouts of rage, and go crazy with the adamantium claws and whatnot. On the whole that just seems ill-advised. It’s a great question, though, and implicitly recognizes that writing really is a craft, something that always can be improved upon, and never really mastered. That’s one of the things that makes it so damn appealing–and sometimes frustrating. In my case, my prose has improved considerably over the years (and still gets a bit better with each book), as has my plotting. Looking back on some of my very earliest work, I see prose that’s solid but not exceptional, and plots that are much more linear than something I’d write today. I didn’t take as many chances with subject matter and point of view then as I do now. Though to be fair to myself, I think characterization has been a strong suit of mine from day one, so I take pride in that even when giving the stink eye to other aspects of my old work. 2. We’ve both had occasion to write characters other people created. You and the rest of the Sembia team allowed me to include your characters in the final volume of the series, and you and I both wrote Tamlin Uskevren, created by Clayton Emery. 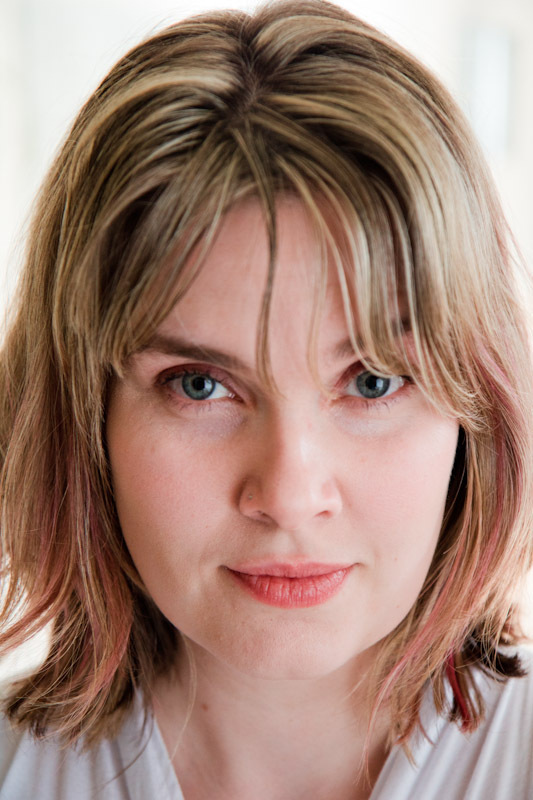 What are some of the ups and downs of writing a character you didn’t create? Honestly, when I’m writing a character that I didn’t create, they don’t feel entirely mine, so I never feel completely comfortable in their skin (or in their POV). I just don’t know them as well. When I create my own characters, I try to do a psychological deep-dive into their motivations, drives, insecurities, strengths, the kind of things they may never even recognize in themselves and that may never actually come out in the book, but which have implications for their characterization. When I can’t do that at the outset, there’s a gulf created between me and the character and I can’t ever quite bridge it. I think I can still do good work with a character like that, mind, but it’s not quite the same as creating one from scratch. I had an experience like this when writing Resurrection, which was the last book in a six book series. In that case each of the six books was written by a different author but featured more or less the same characters. I had a blast writing the book and I’m still proud of the work I did there, but I never felt as at home with those characters as I do with Cale and Riven, or Egil and Nix. 3. We both like to write, for lack of a better term, “buddy fantasies.” Where do you draw inspiration for those relationships? Do you feel the term “bromance” applies to sword & sorcery duos? Hmm. Well, I suppose I draw on classic portrayals in books (Leiber, say) and film (every buddy cop movie ever made, and, perhaps more in line with my style, Eastwood and Freeman in Unforgiven). I also draw on my own real-life friendships and (to a lesser degree) the relationship between my two twin sons. As for the term “bromance”—if we mean brothers-in-arms, and men who’ll fight and die for one another, then yeah, I think it applies. But there’s a lot of room for maneuvering within that kind of relationship (“Buddy fantasy” covers a lot of ground). The relationship can change over time, or start in different places, or be affected by different things. In my Erevis Cale stories, for example, Cale and Riven begin as bitter rivals and enemies, but over the course of the story their relationship changes, first to a kind of grudging respect, and finally to a brotherhood born out of shared trials. Egil and Nix, on the other hand, start out with a relationship as close as that of twin brothers and so far it’s stayed that way, come what may. Their relationship is the bedrock on which the otherwise chaotic events of their lives play out. 4. You’ve brought some of your characters up from mean beginnings to near godlike stature. How do you keep immensely powerful characters grounded in humanity? I focus on the small stuff. Riven is enormously powerful by the time of The Godborn, but what people love about him is his snide attitude, his sympathy for the downtrodden, and his love of dogs. Really gods and very high powered people aren’t interesting because they’re gods or high powered people. They’re interesting for the same reason any protagonist is interesting – because of their internal conflicts, because the reader identifies with their likes and dislikes, their motivations and challenges. It’s only when there’s emotional resonance between character and reader that a reader rejoices in a character’s triumphs and despairs over their failures. Whether a character is really powerful or not is, for the most part, window dressing. You just want that resonance. 5. You’re a well-informed lawyer with political opinions, which sometimes you express online. Have you found yourself more or less likely to post your personal views online after feeling pushback from some of your readers? Candidly, agreement or disagreement has no effect. I’ve been a politics/policy junkie for a long time, much longer than I’ve been a professional writer, so I have strong, longstanding opinions about a whole host of policy-related things and I’m, uh, happy to share them. Besides, too many people today think that policy doesn’t have much effect on their lives, or that (in America) both major political parties are essentially the same, etc. Neither of those things are true and I’m sometimes vocal in trying to say as much. Keep tabs on Paul’s latest shenanigans at his website. And don’t forget to enter the Crossing the Streams contest.